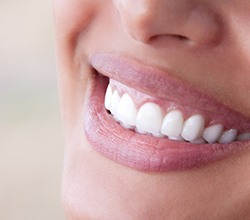 At Bruno Integrative Dentistry, our approach is to stop a dental problem as soon as possible. To do that, we offer a variety of preventive services. By staying proactive about your dental care, we’ll help you avoid little problems and prevent them from turning into bigger ones later. Just two easy appointments each year could be all you need to have a beautiful and healthy smile you never have to worry about. If you’re ready to take control of your dental health, call us to schedule an appointment today. We provide routine dental services such as digital radiographs, cleanings, examinations, oral cancer screenings and periodontal (gum) charting. In a boutique practice, we provide an intimate setting. Our priority at your visit is you! We see no more than 2-3 patients at the same time so that we can give you the attention and care you deserve and have been seeking. 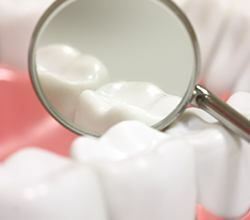 When it comes to routine dental services, our focus is on your safety and the prevention of disease. We treat our patients with the utmost care and will discuss your options with you in detail so you are able to make informed decisions. Patients who have an infection of the gum and bones called periodontitis will experience chronic inflammation of the gum tissues. Since cleaning with a toothbrush and floss is incapable of reaching lower than 3mm below tissue, bacterial buildup develops in the gum pockets. It is important for us to perform an in-office deep cleaning with local anesthesia so we can get down to the bottom of the gum pockets and remove as much of the bacteria as possible. Removing the bacteria and the toxins they produce will remove the inflammation from the gum tissues, allowing the tissue to shrink in size and be more manageable with normal cleanings. Patients that need a deep cleaning will likely continue to have periodontal maintenance visits every 3 months after their deep cleaning to make sure the bacteria are not building up again. In today’s world, we all eat a lot of soft and sticky carbohydrates which like to get stuck in the chewing surfaces of teeth. Back teeth often have deep grooves on these chewing surfaces that are impossible to clean when bacteria get deep down in those grooves. A single toothbrush bristle is too large to reach the bottom of that deep groove so sealants are often recommended to keep patients with these kinds of teeth from getting cavities. Sealants are applied as a liquid and then hardened to fill in these deep grooves. They provide a barrier on the occlusal (chewing) surface of a molar. 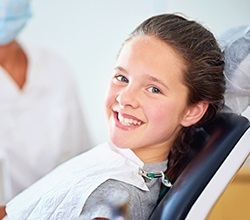 Sealants are a preventive approach to oral care and can help in curbing the formation of cavities by 80%, according to the American Dental Assocation. Do you feel that the muscles of your face or neck are tight and sore during the day? Do you wake up and feel that the muscles of your face are sore or that your teeth are aching? 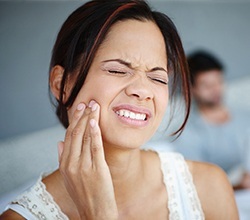 You may be grinding your teeth or have a disease called bruxism. There are many reasons a person may brux their teeth, and Dr. Bruno feels it is important to try to determine the cause of the grinding along with reducing the destruction that is caused to the teeth from this disease. This can severely wear down and weaken your teeth over time, causing them to eventually crack and fracture. Bruxing, or grinding can be caused by tissue that is too tight under the tongue causing all the muscles of the head/neck to be under contraction. Other times, the grinding is a consequence of sleep apnea. A third cause of bruxism could be excessive stress. 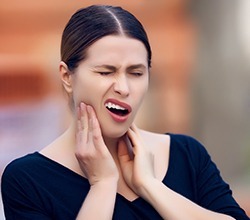 Dr. Bruno has solutions for all 3 reasons that a person may be grinding their teeth, and she will work hand in hand with you to help alleviate the destruction to the teeth and the pain to your head/neck. Oral cancer is a potentially fatal disease that is actually very treatable when caught early, and that is exactly why the American Cancer Society recommends that everyone should have at least one oral cancer screening per year. Dr. Bruno can perform one as part of your routine checkup where she’ll examine your lips, gums, tongue, cheeks, throat, neck and face for any unusual sores or growths. Should she find anything that causes concern, she’ll get you to one of her hand selected specialists for further evaluation and biopsy. You will often find fluoride in dental toothpaste because it is able to be absorbed by the tooth and make the tooth harder and more resistant to cavities. 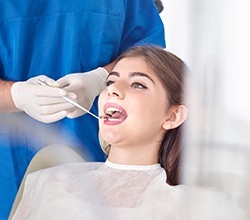 Dr. Bruno will often recommend fluoride varnish treatment for patients who have a lot of dental work, receding gums or simply aren't good at keeping teeth clean. This varnish has a colliphany that allows the fluoride to stick to the tooth allowing a better absorption than what you get with brushing and helping to prevent cavities. 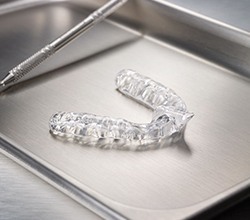 In addition, Dr. Bruno uses a product called Silver Diamine Fluoride for patients with early cavities or patients with cavities on the roots of teeth. The silver kills the bacteria and prevents the cavity from growing while the fluoride makes the tooth more resistant to future cavities. Silver Diamine Flouride sure is a better alternative to our old "watch and see if the cavity gets larger" method! The only thing to be aware of is that this product can turn cavities black. We understand dental pain and how dangerous it can sometimes be. Our goal is to assist existing or new patients with a true dental emergency within 24 hours. If you or a loved one find yourself dealing with a dental emergency, please call us today so we can show you compassion and care. If you’re experiencing jaw discomfort, feel confident that Dr. Bruno will be able to help alleviate your pain. She will perform a comprehensive evaluation at your first appointment. If she sees signs that there is breakdown of the joint apparatus, she will discuss this with you and the options available to receive a clear diagnosis.